1. Kingsport TN is pretty much the end of the line now coming from the south. 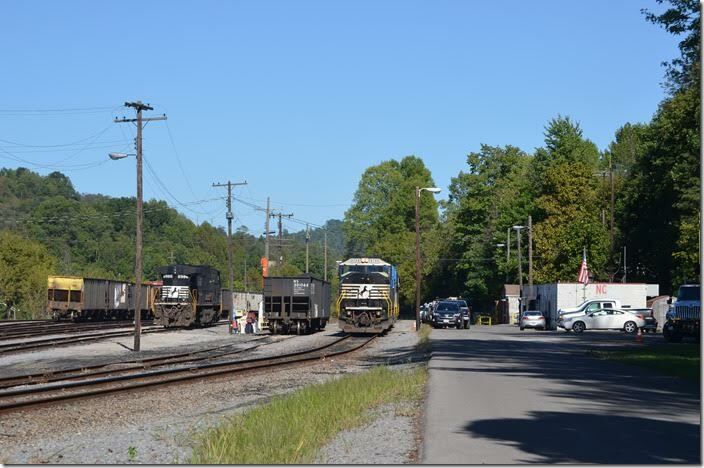 CSX 7843-4025 and 3239 congregate near the yard office. 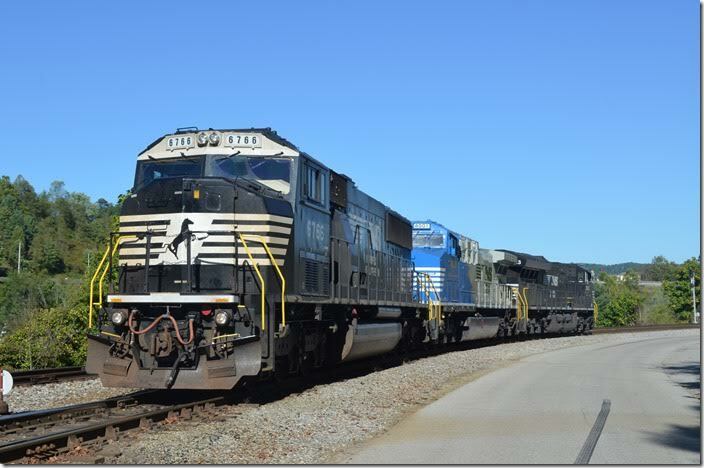 The 3-unit set may be the ones to take Q696 south to Bostic in the evening. 2. 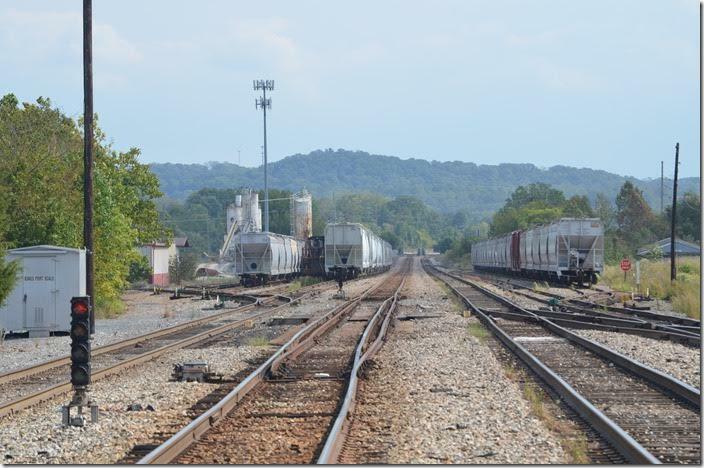 Part of Kingsport yard looking north on the former CRR main line. The former freight depot and passenger depot (the tower) are on the right. 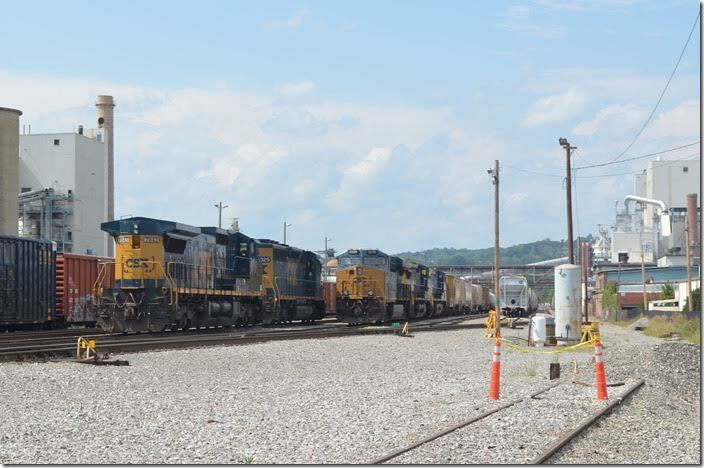 CSX yard. Kingsport TN. 3. 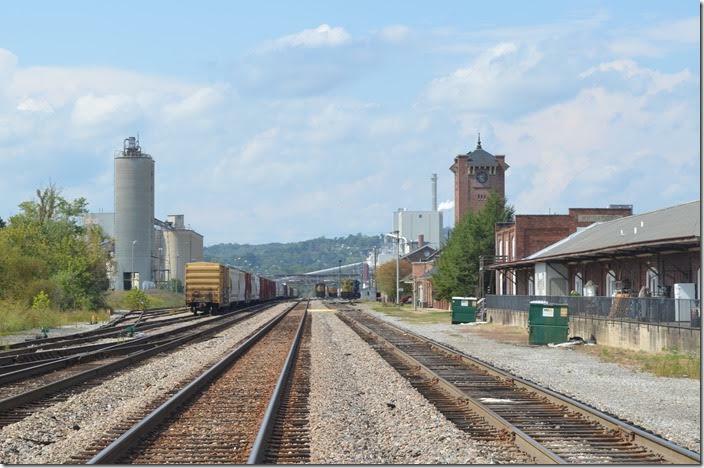 CSX yard. Kingsport TN. View 2. 4. Looking south with the weigh-in-motion scales in the foreground. Doubtful the scales are used much anymore. Monday, 09-26-2016. 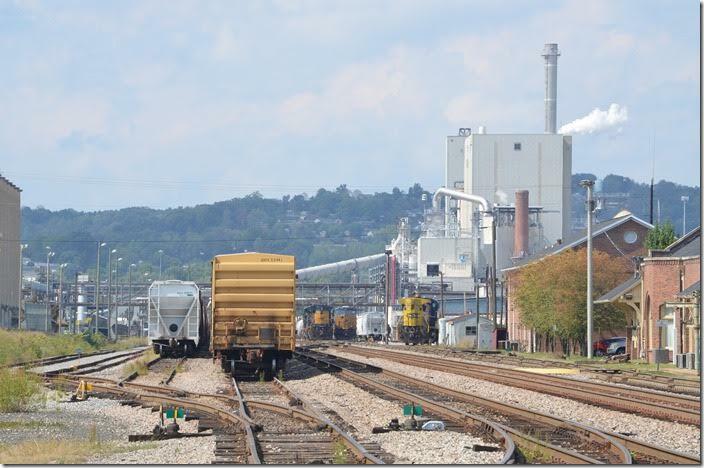 CSX scales. Kingsport TN. 5. The former Southern Ry. nee-Interstate Railroad terminal at Andover VA, which is a mile or so north of Appalachia. 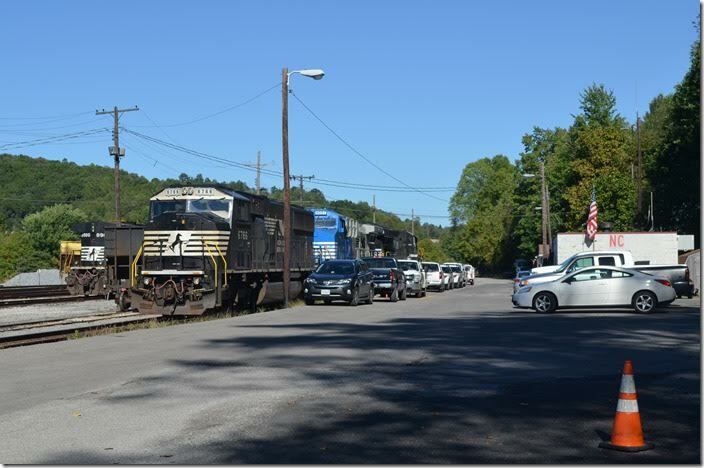 Ex-Conrail 8425 and ex-Southern 5142 are parked on Tuesday, 09-27-2016. NS 8425 5142. Andover VA.
6. 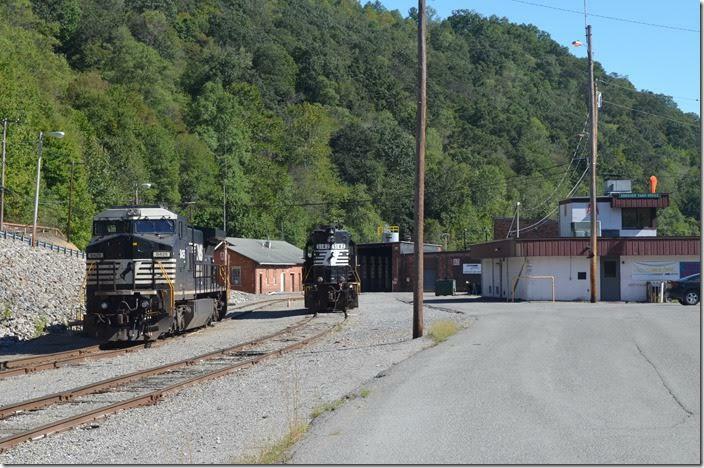 The NS (former N&W) engine terminal and yard office at Norton VA, on 09-27-2016. NS 8986 6766. Norton VA.
7. NS 6766-4001-3613. Norton VA.
8. NS 6766-4001-3613. Norton VA. View 2. 9. 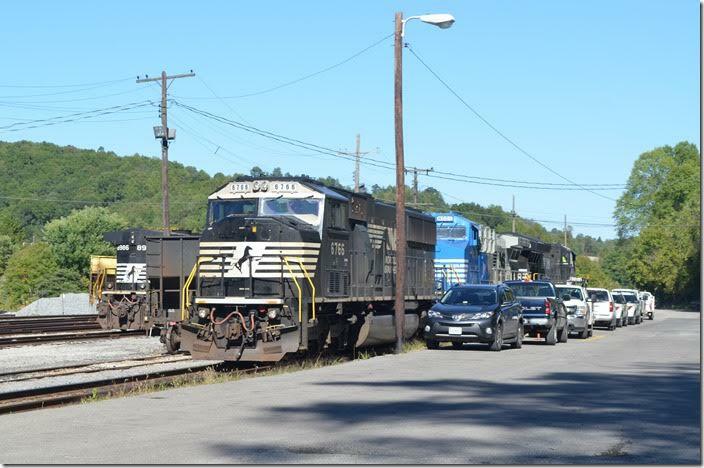 The crew of U49 backs NS 6766-4001-3613 east toward the signal on the Clinch Valley end. 6766 is a SD60M. Norton VA. View 3. 10. 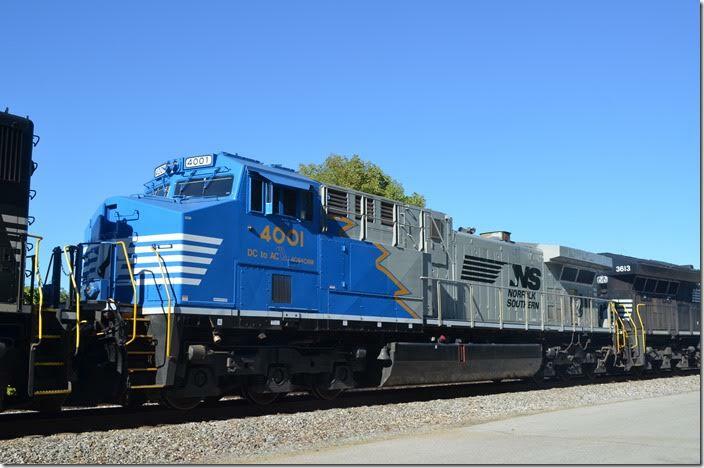 4001 is a recent graduate of NS’s program to convert AC engines to DC traction. NS AC44C6M 4001. Norton VA.
11. 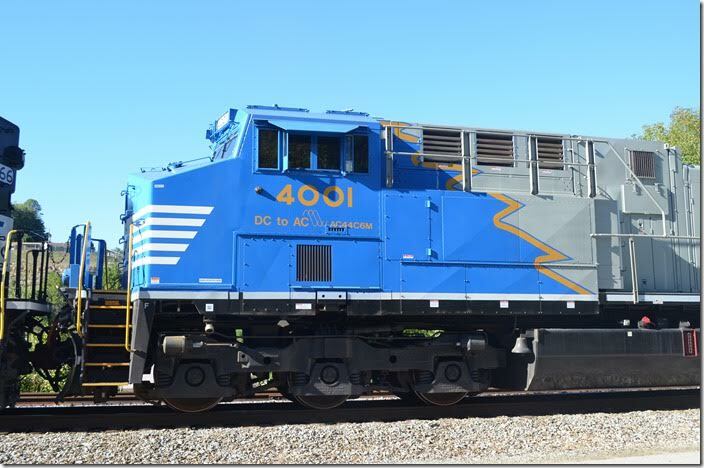 The new model designation is “AC44C6M.” I like the paint scheme. I’ve also seen 4004 on the Pokey. NS AC44C6M 4001. Norton VA. View 2. 12. 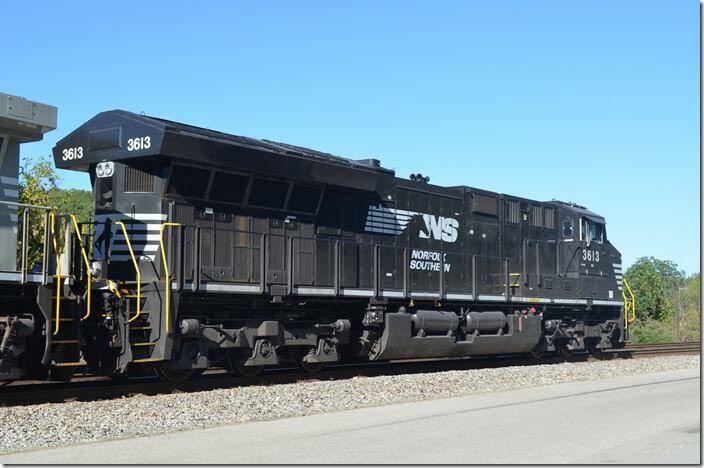 That big radiator means NS 3613 is a GE ET44AC. Chase Freeman and I shot this engine on Feb. 4, 2016 as it was part of pusher J73 shoving 80M up Dry Fork. Norton VA.